Sometimes the best gifts of all are for no particular reason, or when a person is least expecting a surprise. Send flowers `just because` to let someone know you are thinking of them, they are special or important to you, or you simply appreciate them in your life. 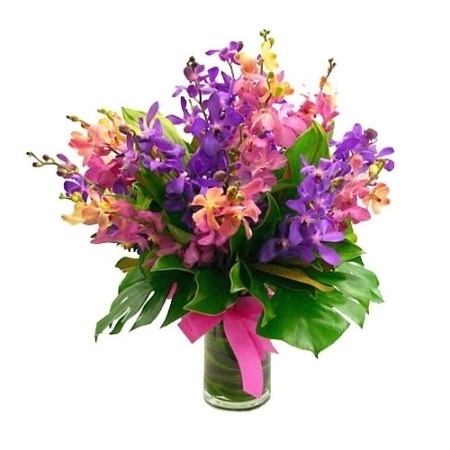 Our flower arrangement of bright and summery orchids and lush greenery comes beautifully presented in a vase tied with a fabulous matching bow. A fun and modern design guaranteed to make someone`s day (or week!). Organise a flower delivery directly via our online florist shop or phone our friendly consultants toll free on 1800 66 66 46.